Rescued Pets Movement is pleased to announce that we have been selected as Indulge Auctions’ very first Charity of Choice, which means that we will receive a portion of the profits from several of their upcoming sales. If you aren’t familiar with Indulge Auctions, they are an online fixed-price, fixed-quantity flash sale boutique featuring designer, designer-inspired and fashion jewelry, accessories and apparel. Their weekly sales begin at 10 AM Wednesdays, and shipping is free. They operate on a first-come, first-served basis–so be sure to shop early and often. We hope you’ll visit them at Facebook.com/IndulgeAuctions, as well as “Like” and “Follow” them. When checking out, enter the promo code RPM10 to receive a 10% discount off of your purchases. We’re crossing our paws that you’ll do some shopping to benefit RPM! 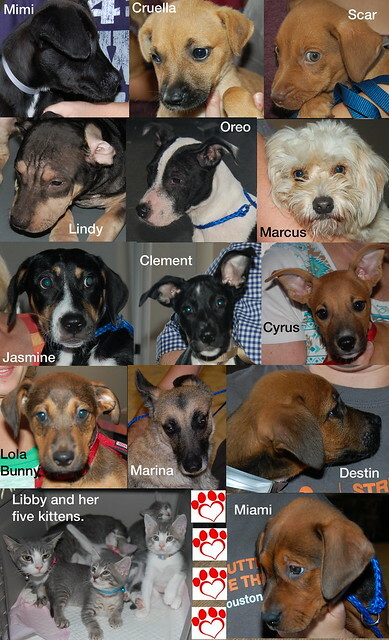 We have officially launched our Raise the Save Kennel Initiative. Thanks to all who came out and supported us at the kick-off happy hour at 3rd Floor last night. Thank you, Magpies & Peacocks for the T-shirts, raffle, and assorted fabulocity! Thank you, 3rd Floor for providing the perfect venue and donating 10% of the food and drink sales to RPM. 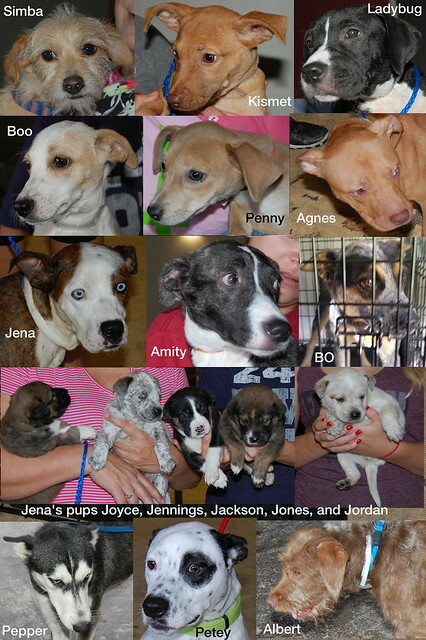 It was a wonderful evening, and we raised enough money from the event to vaccinate a whole lot of puppies! (Vaccines are expensive!) If you didn’t get a chance to make it to the launch event yesterday, click here or on the Raise the Save tab above for more information on becoming a Raise the Save Kennel Initiative Sponsor. 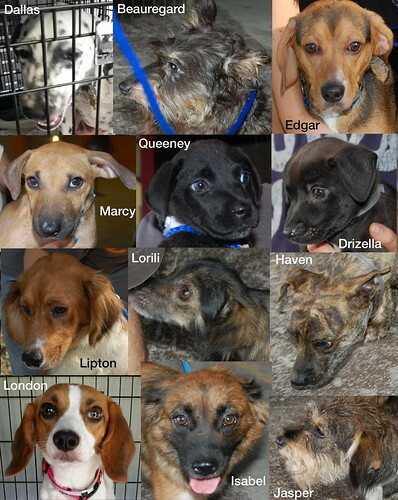 Here are the beautiful dogs and cats who made the long journey to their new homes in Colorado last week. As we say every week, there’s no way RPM could do this without your help. Thank you to all the fosters, transporters, vets, BARC staff, volunteers, donors, and our partners in Colorado for making it possible to save lives! Rescued Pets Movement cofounder and president, Cindy Perini, recently talked with with Michael Bybee of Comcast Newsmakers Houston about Houston’s homeless pet overpopulation problem, RPM’s partnership with BARC, RPM’s need for foster homes, and how people can help RPM continue to grow and succeed. 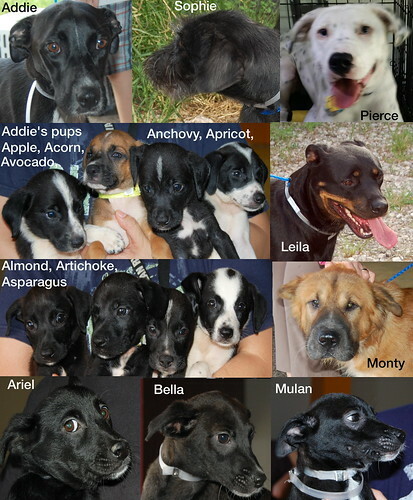 It is hard to believe that it has been nearly one year since Rescued Pets Movement formed. The amount of time, energy, love, planning, and dollars that it has taken to get to this point is nothing short of BREATHTAKING! Many of you have been fostering and volunteering with us since the beginning and some are BRAND NEW to the scene:) Regardless of how long you’ve supported RPM, we would like to invite you to our very first Foster Forum on August 23rd, 2014. This will be a great opportunity for you to tour the new clinic that is currently being renovated, explore the future of RPM and our processes, and for us to answer questions from our fosters and volunteers. Below is a tentative itinerary of the gathering. We encourage EVERYONE to attend, as so many things are changing with this ever growing program. You do not need to be a current foster to attend. We encourage everyone who is involved in our program or interested in becoming involved to join us. It will be informative, yet FUN:) and we are excited for everyone to be in one place at one time!! 9am-9:30: Meet and greet in lobby. 9:30am-10: Tour of the RPM building and details on the buildout plans. 10am-10:30: Building and Maintaining Colorado Relationships. 10:30-11: Shelter Illnesses and RPM Vet Protocols. 11am-11:30: Question and Answer Roundtable with the RPM Board. You are invited to Raise the Save at 3rd Floor! You are invited to raise a glass with RPM as we kick off our Raise the Save Kennel Initiative fundraising bash at 3rd Floor on August 27th, 2014, from 5 PM to 8 PM at 2303 Smith Street, Houston, Tx. 77006. Lap up delicious bites and beverages from the talented team at 3rd Floor and soak up the spectacular skyline! 10% of our total sales will donated to RPM, so please bring a friend!